Akustische und Kino-Geräte Ges. m. b. H.
Founded in 1947 by Rudolph Goerike and Ernest Pless, this Austrian audio device-building company specializes in constructing microphones and earphones. In 1953, as a first company in the world, AKG manufactured dynamic cardioid microphone. 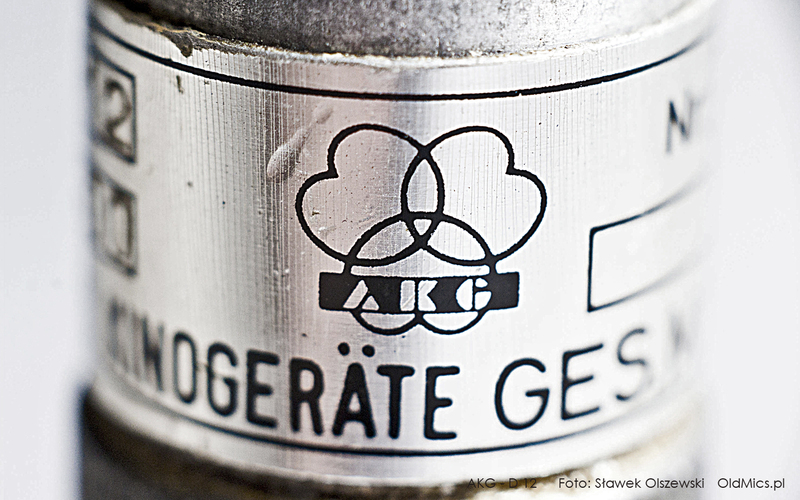 Although, AKG C12, a condenser microphone model, is considered most famous; it was produced since 1953 as well. Since then, the company released many quality products into the sound studios, it was famous for its solid and polished constructions. The especially praised models are: D12, D20, C414 and, of course, C12. Since 1994, AKG became a part of Harman International Industries. In 2010 AKG won a Grammy Prize for its input in the sound recording technology. A valued dynamic microphone made in Austria. This is the gold version. A solid, metal device made with attention to detail. Pretty good-sounding. The body features a B/M/S switch. Our microphone is slightly scratched, but works perfectly. Contains a DIN receptacle. A beautiful squarish one by AKG. It has an m/s switch at the back, which enables you to set up the microphone for receiving speech or music. The cable features a 3-pin DIN connector. At the bottom, there’s a hole for mounting the mike on a stand. A rather rare find in a beautiful condition. A dynamic microphone made by an Austrian company and world-renowned as one of the best tools for recording bassdrum. Frequently used when recording bass instruments. Our version has an in-built switch, which, when engaged, gives no audible effect. Currently, one of the best-priced dynamic microphones. As usual for this Austrian manufacturer, the craftsmanship is of high quality. The microphone is solid, excellently crafted, the grill is covered with fine balls like model M640 N. XLR socket. In perfect visual and technical condition, sounds very good. A dynamic microphone, wholly made of metal. A small but solid Austrian design connected with a cable with a 3-pin DIN connector. An attractive-sounding AKG item for the stage and studio. Comes with a box. 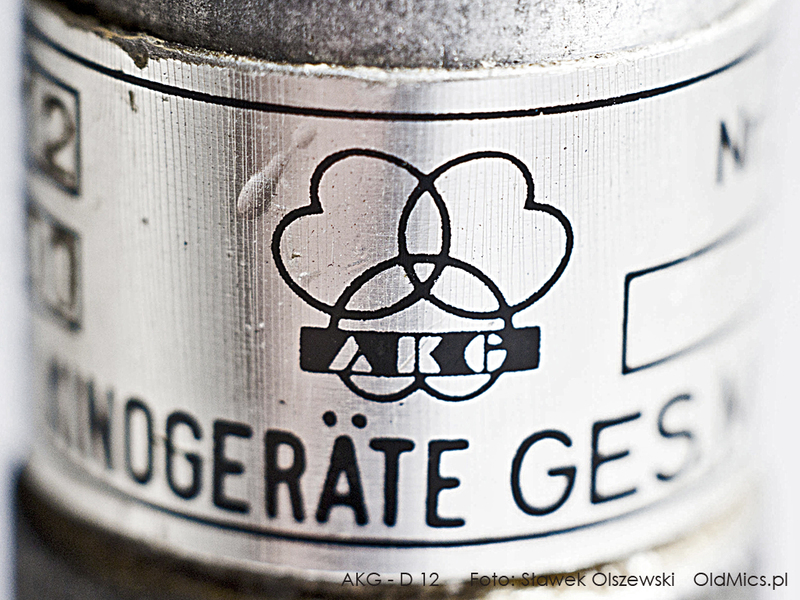 A very odd microphone from AKG’s portfolio. A low-budget, plastic design with an on/off switch. The cable ends with a double mono 1/8” jack plug. Miniature dynamic microphone by well-known Austrian manufacturer. Fits greatly where we don't have space for big, solid structures. Due to its characteristics, it has no problem with catching the source in noise. Often to be found in PCR on talkback. Entirely metal. Connector - small tuchel. The stereophonic dynamic microphone is produced in Austria, praised for its sound qualities. It allows recording the sound from two capsules at the same time or disconnecting them in two separate microphones. All is made of plastic, originally on another tripod than the one in the photo. Din plug comes with 6 pins. The original box. A cheap Austrian dynamic microphone from the 1970s. A wire base allows for placing it on a flat surface. Made of plastic. The cable with a 3-pin DIN connector at the end. Our microphone is in perfect condition. 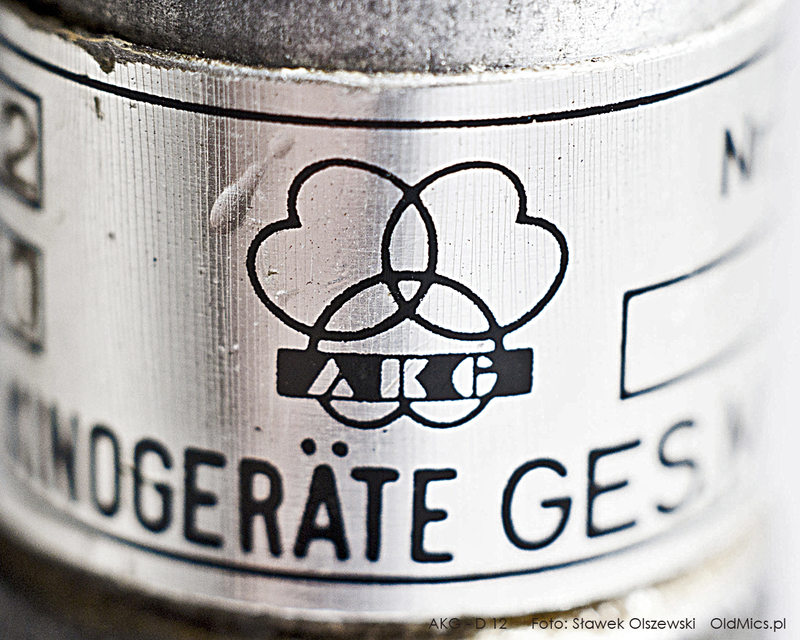 The first microphone under the AKG brand. Hand-made in the 1940s. Wholly made of metal. The handle allows for installing it on a tripod. It was placed on a metal base in the original. Unfortunately, signs of the passage of time can be seen on our piece. Twin brother of the AKG D12. Manufactured under licence by Echolette (subsequently Dynacord) with the name Select Master 12. One of the nicest and best-sounding microphones in our collection. Worth recommending to any bassist and drummer. XLR connector.